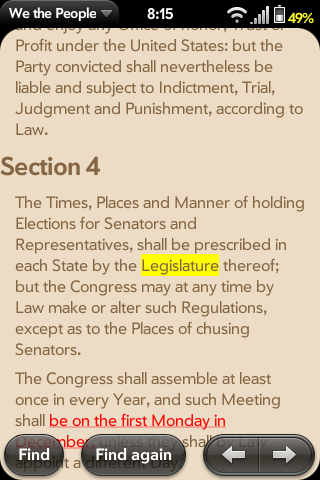 We the People is the best way to view the United States founding documents on your webOS device. Join in on the discussion forum! Here's the IPK for phones and the IPK for TouchPad - enjoy! 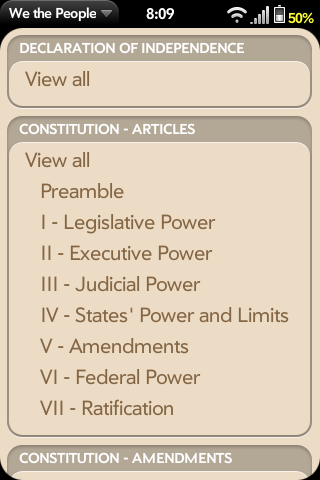 View the Declaration of Independence and the Constitution, including preambles and all amendments. See text that has been amended and follow links to see the amending text! Easily search for words in the document. Now supports Exhibition mode! 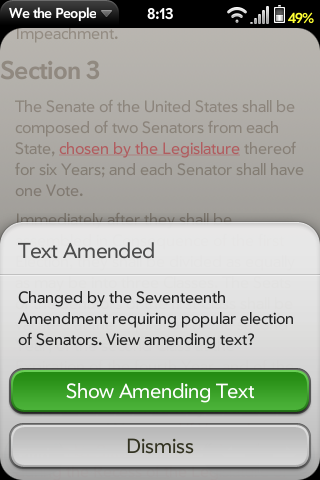 (on webOS 2.0 and above) See random amendments and sections of the Constitution.